The IT job industry is getting more crowded every day and here one of the best ways to establish yourself in the crowded IT market is with Cisco CCNA certification. If you are an IT professional or network engineer, you might be missing out a great way to enhance your career profile. Here to take the CCNA certification will help you fly high in your career with better opportunities. IT experts always looking to increase their skills and knowledge through technology based certifications and training. A CCNA is one of the most taken and valued IT certification today and it can boost your career and take it to the next level. The majority of organizations prefers to hire skilled, certified professionals who can install, configure, manage and troubleshoot small to medium size networks. Cisco Certified Network Associate certification validates a professional’s ability to understand, install, configure, operate, configure and troubleshoot medium size switched and routed networks. CCNA certification also includes the verification and connection implementations via a remote site using WAN. Although, Cisco Certified Network Associate (CCNA) is a foundation level certification, it still attracts a series of benefits who want to hold this certification. CCNA certification validates candidate’s particular technical skills, considerably increasing the processor’s professional credibility. Professionals who are holding CCNA certification and who are expertise in working with networks that have fewer than 100 nodes, they have better opportunities to occupying stable job positions inside renowned and reputed IT companies. These skills, validate the candidate’s ability to work in small and medium size organizations that uses less extensive networks. Read Also: What are Cisco CCNA, CCNP and CCIE Exam Fees in India to get Certifications? 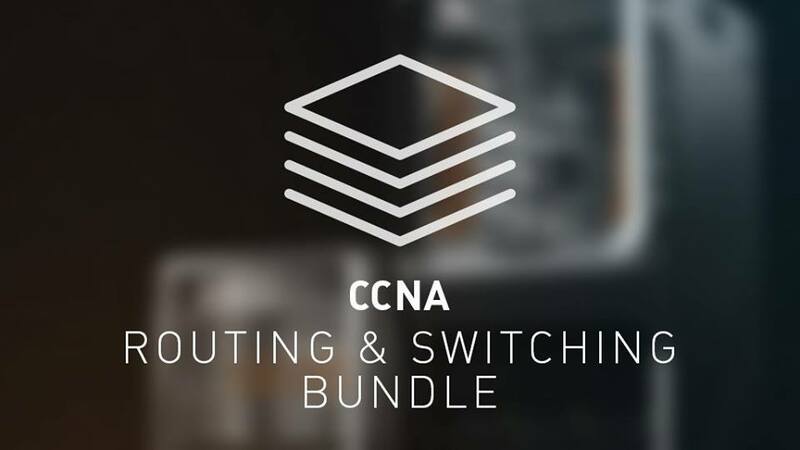 This CCNA certification course proves candidate’s good skills and experience in installing, configuring, and operating LAN, WAN, and dial access services for less than 100 nodes based networks. CCNA routing and switching certification using technologies such as IP, IGRP, Serial, Frame Relay, VLANs, RIP, IP RIP, access list and Ethernet network protocols. IT help for installing and configuring various Cisco switches and routers in internetworks which use multiple protocols that have LAN and WAN interfaces. This certification course helps to ensure network performance and security provides beginner level network troubleshooting services. Opting a CCNA certification course will have a strong impact on your overall networking skills, knowledge and qualifications. CCNA certification proves the fact that the candidate is prepared for more responsibility and practical positions who can work on real time network environment. In many cases, organizations hire only CCNA certified professionals. CCNA is also acts as a prerequisite for the next level of Cisco certifications, so taking CCNA training is beneficial only, nothing more than. CCNA certification is known as associate level of Cisco certification from where your networking career will start. It opens the door of your successful networking career, so it is called a foundation level of pillar on which you can build your successful networking career. CCNA certification will give associate level knowledge of installation, operations and troubleshoot of enterprise network. Basically CCNA Routing and Switching (CCNA R&S) certification is the associate level of certification from where you can start your successful networking career. This is the certification which makes you ready to adopt your next level of skills and certification in IT industry. From here you can get professional level of Cisco certification (CCNP) and expert level of Cisco certification (CCIE) in routing and switching. You can also move forward to core skills to technologies like Cloud, Data Center, Wireless, Collaboration and Security. All depends on you in which direction you are interested to go. This exams tests your skills about fundamental knowledge of networks (15%), LAN switching technologies (21%), WAN technology (10%), IPV4 and IPV6 routing technology (23%), security of infrastructures (11%), services of infrastructures (10%) and infrastructure management (10%). This exam tests your skills about network fundamentals (20%), LAN switching (26%), routing technologies (25%), and service of infrastructures (15%) and maintenance of infrastructures (14%). LAN switching technology (26%), Routing technology (29%), WAN technology (16%), infrastructures services (14%) and maintenance of infrastructures (15%). You need to pass one of the above exams to get CCNA R&S certification. Either you can pass 200 – 125 CCNA exam or you can pass in 100 – 105 ICND1 first and then 200 – 105 ICND2 exam. There is no prerequisite for CCNA routing and switching certification. Only CCENT certification is recommended. After Certification: After getting CCNA R&S certification you will be able to install, operate and troubleshoot the small to medium level of enterprise network. CCNA Routing and Switching certification is valid for 3 years from the date of certification issue. CCNA R&S certified engineers may get salary package from 2,50,000 INR to 6,00,000 INR in India. This is not exact values of salary package but this is only estimated values. It may be change depending on your skills level and company profiles. It gives the opportunity to get move forward in your career by professional level and expert level of Cisco certifications. Re-certification gives the best opportunity to get growth in your career.